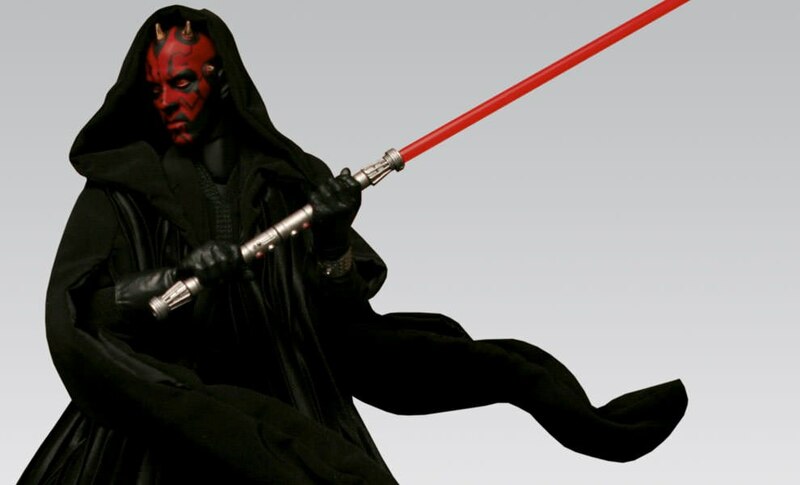 Sideshow Collectibles is proud to announce that Medicom Toy is offering fans a second chance to add the RAH Darth Maul Sixth Scale figure to their collections. 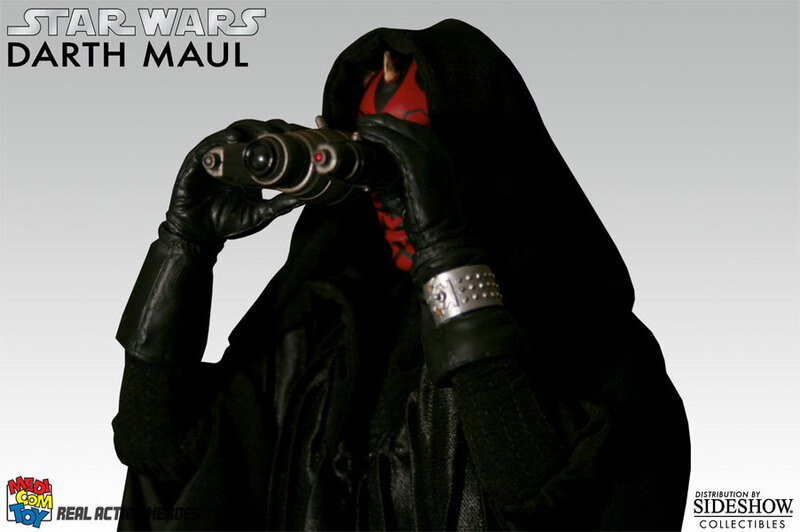 Each Darth Maul figure includes interchangeable hands and electrobinoculars, a removable hooded cloak land ight up saber. The RAH Darth Maul Sixth Scale figure makes an outstanding addition to any collection. 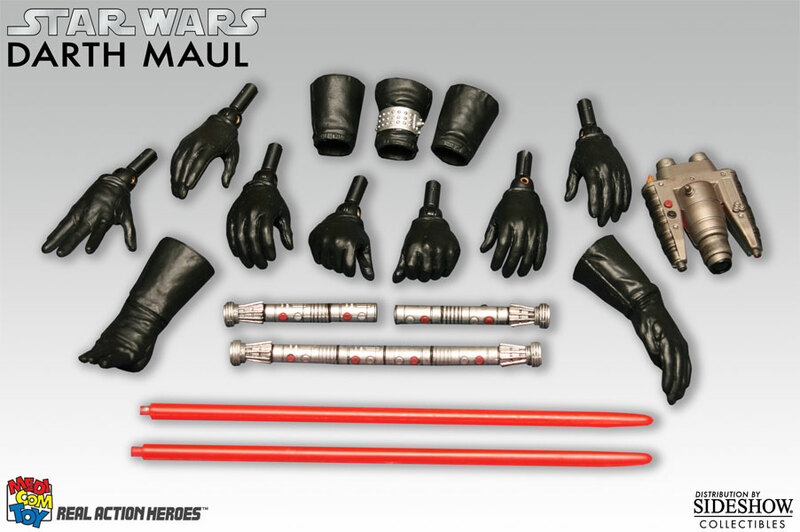 Each Darth Maul figure includes interchangeable hands and electrobinoculars, a removable hooded cloak and light saber. 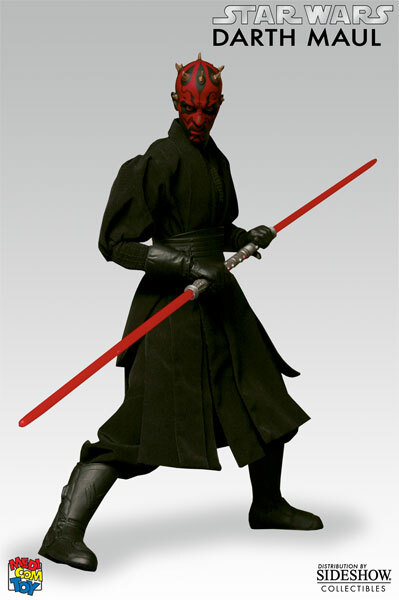 The RAH Darth Maul Sixth Scale figure makes an outstanding addition to any collection. AWESOME!! 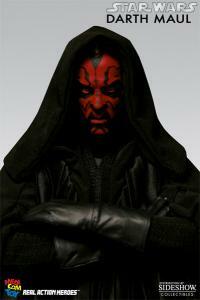 GO BIG, GO BAD OR GO HOME! 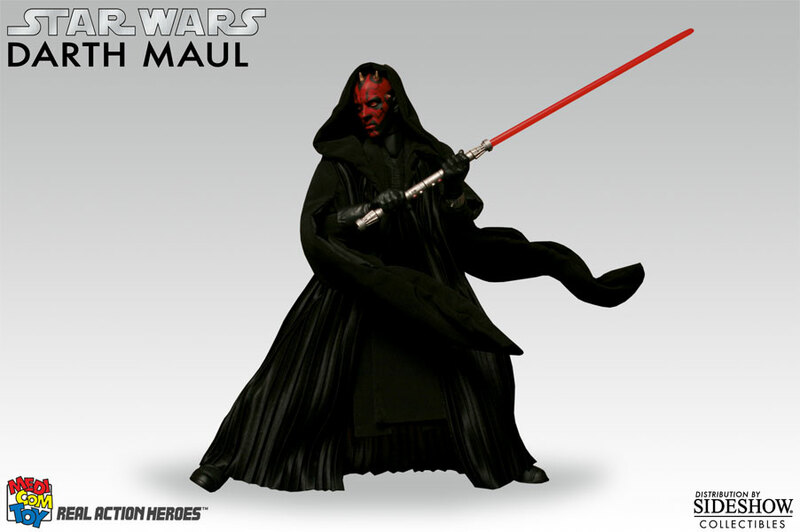 I just picked this up today. 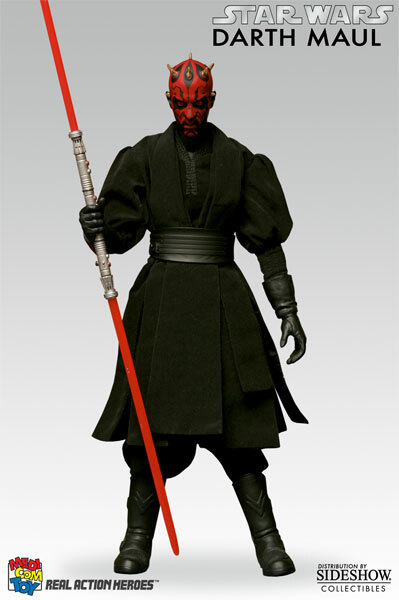 It's very well done and will make a nice 12'' figure for my collection. 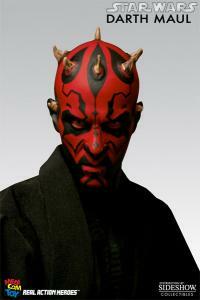 Having a great face sculpt, Darth Maul is an intimidating vision. 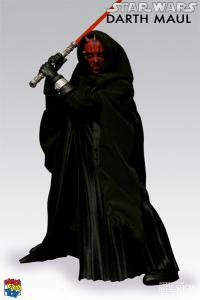 His wire-posable hood, flowing and beautifully pleated robes, are smart. The main figure seems to have slightly tighter joints, which is good (and better than my two previous MEDICOMs). Excellent, I'm glad I got him this time round. I bought this great figure first time 'round-I wish I could buy another. 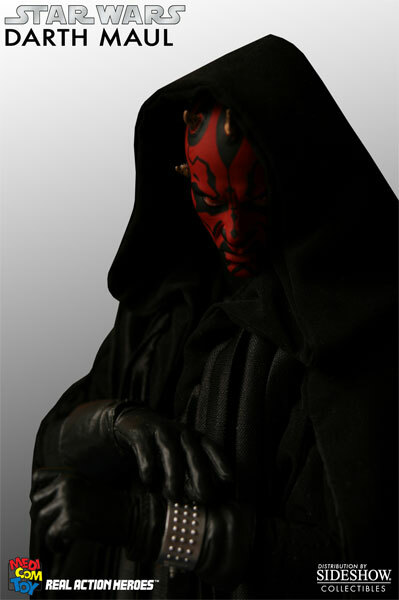 I love everything about it-the menacing face, the superb costume, the equipment and the hands with their very clever gaunlet cuffs.Beutifully done Medicom!